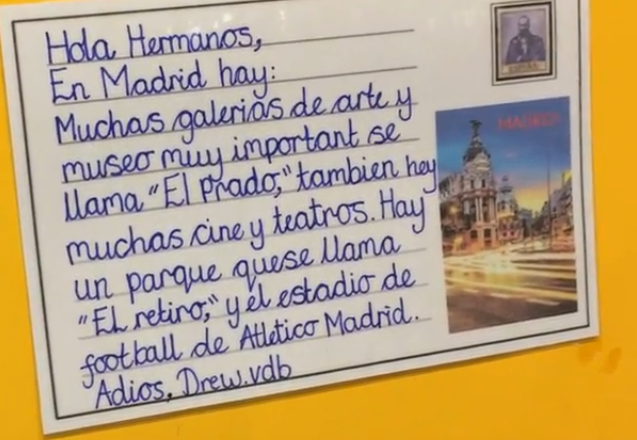 It’s a delight to share with you our case study (and video) of the outstanding success in the teaching and learning of Spanish by both the staff and children at Canon Burrows CE - Tameside. The whole school commitment to the teaching and learning of primary foreign languages is quite amazing! 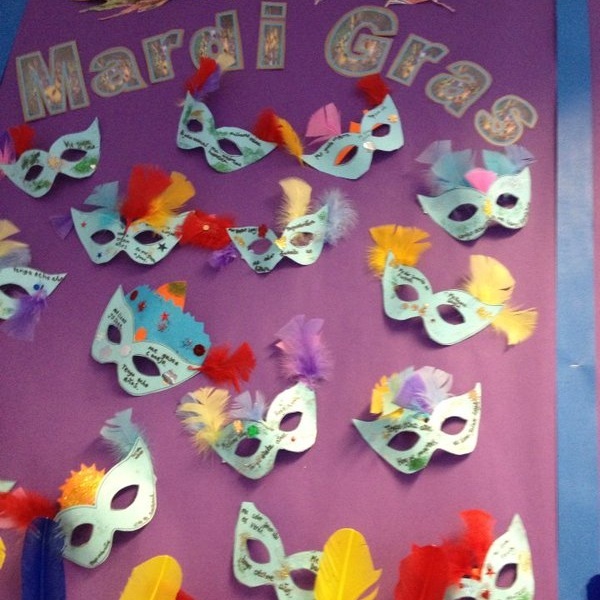 Primary Languages Network first began to work with the school in 2013, when the school became Premium network members. 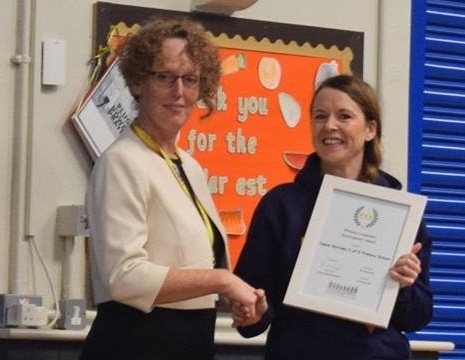 Canon Burrows CE received their well deserved “outstanding” Primary Languages Development Award in October 2018. The success of Spanish in the school is due to the commitment and hard work of; Elizabeth Adamson (Liz) the MFL Coordinator; the support and vision of SLT and the willingness of all the staff to engage with the teaching and learning of Spanish across KS2. The school are supported by a Spanish language teacher and the key language teaching time in class is seen as teacher CPD and staff join in, learn with the class and then teach aspects of the learning themselves later in the week to their own pupils. The staff, who are all non-specialists in Spanish, feel confident that they can deliver Spanish to their own classes. Liz has ensured that all staff work with the resources on the VLE, access the native speaker clips and sound files in the Ready Made SOW and receive regular updates and CPD to enable them to develop their understanding of the language and very importantly the pedagogy. Liz, herself, has accessed; 1 to 1 consultancy support each year, visited and observed other PLN member schools’ Spanish learning programmes and has organised staff CPD from Primary Languages Network and has attended the annual PLN conferences. Each of these CPD components has ensured the progress and success the school can see in the teaching and learning of Spanish. Last year (2018) the staff wanted to focus on Spanish up-skilling and also on “making progress in MFL ” , a bespoke package of CPD delivered by our associate teacher trainers. SLT explain to the children that they are all on a learning journey together, making the whole learning experience more positive across the wider school community too. Every year they celebrate the school celebrates their successful progress with language sharing assemblies, where each year group teaches the rest of the school something they have learnt. For Canon Burrows CE, the progress they have already made is outstanding. The combination of SLT vision and support, the incredible passion and commitment of the MFL coordinator and the engagement and enthusiasm of the whole staff contributes to this amazing progress. We look forward to seeing how much more the school progresses in its whole school language learning journey. Older PostBring in the New Year!